A Line of Sight: American Avant-Garde Film since 1965, by Paul Arthur. University of Minnesota Press/232 pp./$59.95 (hb), $19.95 (sb). Acting Out: Invented Melodrama in Contemporary Photography, by Kathleen A. Edwards. University of Iowa Museum of Art/64 pp./price unavailable (sb) [exhibition catalog]. Akbar Nazemi: Unsent Dispatches from the Iranian Revolution, 1978-1979, by Asef Bayat, Nikki R. Keddie et. al. Presentation House Gallery/64 pp./$20.00 (sb). 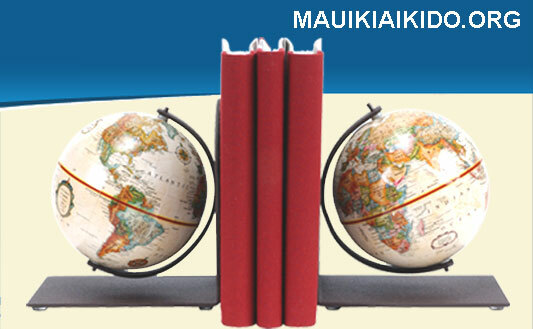 Artists' Books International Directory. Atelier Vis-a-Vis/273 pp./[euro]38.00 (sb). Basic Forms of Industrial Buildings, by Bernd and Hilla Becher, introductory essay by Susanne Lange. Schirmer/Mosel/144 pp./$34.95 (hb). [Hasselblad Award catalog]. Belonging: From Los Alamos to Vietnam, by Meridel Rubenstein, essays by James Crump, Lucy R. Lippard et. al. St. Ann's Press/192 pp./$65.00 (hb). Black & White Photography: A Basic Manual, by Henry Horenstein. Little, Brown and Company/252 pp./$27.95 (sb). Canyon Spirits: Beauty and Power in the Ancestral Puebloan World, by John L. Ninnemann with essays by Stephen H. Lekson and J. McKim Malville, and foreword by Florence C. Lister. University of New Mexico Press/113 pp./$24.95 (hb). Chris Marker: Memories of the Future, by Catherine Lupton. Reaktion Books/256 pp./$25.00 (sb). The Complete Dictionary of Symbols, edited by Jack Tresidder. Chronicle Books/544 pp./$22.95 (sb). Complete Writings 1959-1975, by Donald Judd. The Press of Nova Scotia, College of Art and Design and New York University Press/230 pp./$55.00 (sb). Crossroads: Avant-garde Film in Pittsburgh in the 1970s, by Robert A. Haller. Anthology Film Archives/110 pp./$7.00 (sb). Earth-Mapping: Artists Reshaping Landscape, by Edward S. Casey. University of Minnesota Press/256 pp./$83.95 (hb), $27.95 (sb). Edward S. Curtis: The Women, by Christopher Cardozo. Bulfinch Press/128 pp./$35.00 (hb). Edward Weston: Life Work, by Edward Weston, essays by Sarah M. Lowe and Dody Weston Thompson. Lodima Press/252 pp./$150.00 (hb). Euro Deco: Graphic Design Between the Wars, by Steven Heller and Lonise Fili. Chronicle Books/500 pp./$35.00 (hb). Eyes of Memory: Photographs from the Archives of Herbert & Leni Sonnenfeld, by Leni Sonnenfeld, foreword by James E. Young. Yale University Press/144 pp./$50.00 (hb). From Technological to Virtual Art, by Frank Popper. The MIT Press/478 pp./$45.00 (hb). Gary Schneider: Portraits, by Deborah Martin Kao. Yale University Press/134 pp./$24.95 (sb). Girl Director: A How-To Guide for the First-Time, Flat-Broke Film and Video Maker, by Andrea Richards, foreword by Allison Anders. Ten Speed Press/122 pp./$17.95 (sb). Having Been Said: Writings & Interviews of Lawrence Weiner, 1968-2003, edited by Gerti Fietzek and Gregor Stemmrich. Hatje Cantz Publish crs/496 pp./$60.00 (sb). Industrial Perspective: Photographs of the Gulf Coast, by Andrew Borowiec. The University of Chicago Press/128 pp./$50.00 (hb). Institutions of American Democracy: The Press, edited by Geneva Overholser and Kathleen Hall Jamieson. Oxford University Press/450 pp./$65.00 (hb). Interrogation Machine, by Alexei Monroe, foreword by Slavoj Zizek. The MIT Press/328 pp./$35.00 (hb). Intersections: The Art of Anna Campbell Bliss, by Katherine Metcalf Nelson. Bliss Studio Publications/80 pp./$20.00 (sb). Isaac Bashevis Singer and the Lower East Side, photographs by Bruce Davidson, contextual essay by Ilan Stavans. The University of Wisconsin Press/127 pp./$26.95 (sb). Lee Miller: Portraits From a Life, by Richard Calvocoressi. Thames & Hudson/176 pp./$34.95 (sb). Learning to Look at Modern Art, by Mary Acton. Routledge/334 pp./$58.00 (sb). Libuna: A Gypsy's Life in Prague, by Iren Stehli. Scalo/252 pp./$58.00 (hb). Magnum Soccer, introduction by Simon Kuper. Phaidon Press/184 pp./$16.95 (sb). Many Are Called, by Walker Evans, introduction by James Agee, foreword by Lue Sante and afterword by Jeff L. Rosenheim. Yale University Press/208 pp./$40.00 (hb). Michael A. Smith: A Visual Journey, by Michael A. Smith. Lodima Press/192 pp./$95.00 (hb). Modern Art: A Critical Introduction, by Pam Meecham and Julie Sheldon. Routledge/354 pp./$34.95 (sb). Mondino: Two Much, by Mondino. Schirmer Mosel/312 pp./price unavailable (hb). Museum Highlights: The Writings of Andrea Fraser, edited by Alexander Alberro. The MIT Press/296 pp./$40.00 (hb). My Place, by Glenn Busch, Bruce Connew et. al. Canterbury University Place/148 pp./$29.95 (sb). Natural Connections: Photographs by Paula Chamlee (accompanied by selections from her journals), essay by Estelle Jussim. Lodima Press/112 pp./$70.00 (hb). The New Society for Universal Harmony, by Lenore Malen. Granary Books/144 pp./$29.95 (sb). News Incorporated: Corporate Media Owner ship and Its Threat to Democracy, edited by Elliot D. Cohen, preface by Arthur Kent. Prometheus Books/319 pp./$26.00 (hb). Passage: Europe, by Richard Copeland Miller, foreword by Philip Levine. Lodima Press/94 pp./$95.00 (hb). Photographs by the Next Generation: Young Portfolio, Young Portfolio Acquisitions 2004. K* MOPA/138 pp./price unavailable (hb) [exhibition catalog]. Quantizing Effects: The Limited Art of Jim Campbell, essays by Steve Dietz and Heidi Zuckerman Jacobson. SITE Santa Fe/72 pp./price unavailable (sb) [exhibition catalog]. Quizzical Eye: The Photography of Rondal Partridge, edited by Elizabeth Partridge and Sally Stein. California Historical Society Press/144 pp./$21.95 (sb). Reality and Fiction: Photography and Printmaking in the Work of Zvi Tolkovsky, introduction by Irena Gordon. Jerusalem Print Workshop/63 pp./price unavailable (sb) [exhibition catalog]. Rick Sammon's Digital Imaging Workshops: Step-by-Step Lessons on Editing with Adobe Photo shop Elements, by Rick Sammon, with tutorial CD-ROM. W.W. Norton & Company/320 pp./$45.00 (sb). Screening the Gothic, by Lisa Hopkins. University of Texas Press/188 pp./$50.00 (hb), $19.95 (sb). Shades of Black: Assembling Black Arts in 1980s Britain, edited by David A. Bailey, Ian Baucom and Sonia Boyce. Duke University Press/340 pp./$29.95 (sb). Shooting from the Hip: Photography, Masculinity, and Postwar America, by Patricia Vettel-Becker. University of Minnesota Press/272 pp./$59.95 (hb), $19.95 (sb). Slide Show: Projected Images in Contemporary Art, by Darsie Alexander, essays by Charles Harrison and Robert Storr. The Baltimore Museum of Art & The Pennsylvania State University Press/192 pp./$29.95 (sb) [exhibition catalog]. So You Want to be in Show Business: A Hollywood Agent Shares the Secrets of Getting Ahead Without Getting Ripped Off, by Steve Stevens Sr. with John D. Cady. Cumberland House Publishing/127 pp./$14.95 (sb). Sonoita Plain: Views from a Southwestern Grassland, by Carl E. Bock and Jane H. Bock, photographs by Stephen E. Strom. The University of Arizona Press/144 pp./$20.00 (sb). Sowing Empire: Landscape and Colonization, by Jill H. Casid. University of Minnesota Press/312 pp./$74.95 (hb), $24.95 (sb). Stelarc: The Monograph, edited by Marquard Smith, foreword by William Gibson. The MIT Press/263 pp./$30.00 (hb). Tattoo: Bodies, Art, and Exchange in the Pacific and the West, edited by Nicholas Thomas, Anna Cole and Bronwen Douglas. Duke University Press/252 pp./$27.95 (sb). Thomas Demand: Phototrophy, by Kunsthaus Bregenz. Schirmer/Mosel/128 pp./$79.95 (hb). Thoughtful Interaction Design: A Design Perspective on Information Technology, by Jonas Lowgren and Erik Stolterman. The MIT Press/198 pp./$45.00 (hb). Uta Barth: White Blind (Bright Red), edited by Charles Stainback, essay by Jan Tumlir. SITE Santa Fe/60 pp./$30.00 (sb) [exhibition catalog]. U2 & I: The Photographs 1982-2004, by Anton Corbijn. Schirmer/Mosel/416 pp./$120.00 (hb). Victor Regnault and the Advance of Photography: The Art of Avoiding Errors, by Laurie Dahlberg. Princeton University Press/208 pp./$75.00 (hb). Visual Authorship: Creativity and Intentionality in Media, edited by Torben Grodal, Bente Larsen and Iben Thorving Laursen. Museum Tusculanum Press/272 pp./$38.00 (sb). We Flew Over the Bridge: The Memoirs of Faith Ringgold, by Faith Ringgold. Duke University Press/304 pp./$24.95 (sb). What Do Pictures Want? : The Lives and Loves of Images, by W.J.T. Mitchell. The University of Chicago Press/408 pp./$35.00 (sb). What Women Watched: Daytime Television in the 1950s, by Marsha F. Cassidy. University of Texas Press/264 pp./$21.95 (sb), $55.00 (hb). William Henry Jackson's "The Pioneer Photographer," by Bob Blair. Museum of New Mexico Press/210 pp./$39.95 (hb). Listing in "Books Received" does not preclude future full review or inclusion in "Books Noted."